An end of tenancy clean - enabling your landlord/estate agent to return you your deposit. What WILL we do that other domestic cleaning companies don't? What WON'T we do that other domestic cleaning companies do? 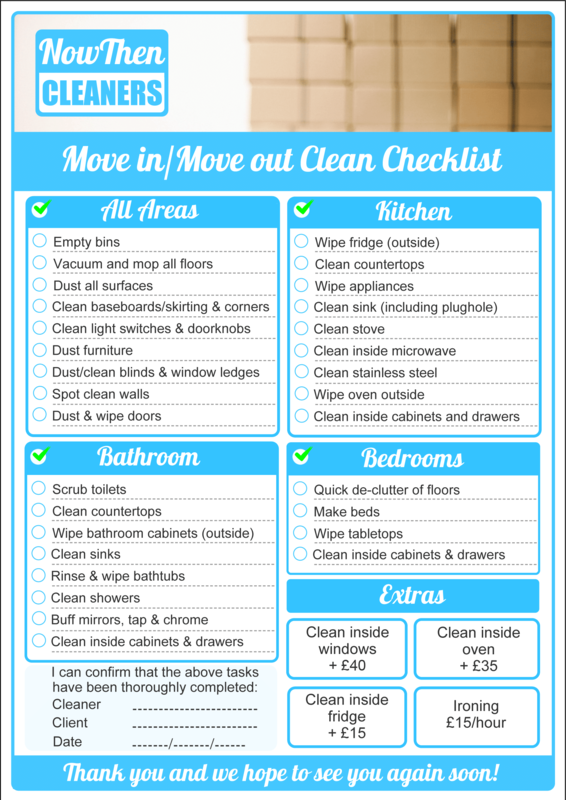 Book one of our professional domestic cleaners in as little as 60 seconds. We work with experienced professionals, with lots of experience. Many of our team have worked in domestic cleaning for many years, others have joined us from the hotel industry where standards are almost as high as ours. We are proud to be domestic cleaners and that shows in our work. We also offer great regular cleaning services if you are interested, both regular house cleaning and regular commercial cleaning. If you have any special requests please contact us or call on 0114 212 7030.